In one of the more ridiculous comments we'll probably hear this primary season, 2nd District Councilmember Kenyatta Johnson blamed the entirety of Graduate Hospital gentrification on the South of South Neighbors Association, a mostly powerless community organization run by unpaid volunteers. Amazingly, this isn't even an exaggeration of Johnson's comments, which were intended to try and smear his challenger Lauren Vidas's experience as President of the local Registered Community Organization for Graduate Hospital. The district includes 15 neighborhoods, including Point Breeze, Graduate Hospital, portions of South Philadelphia, the Navy Yard, Eastwick, and Grays Ferry. Since 2010, the district’s population has grown by 7,500. In the most gentrified parts of Point Breeze, the median housing price soared from about $30,000 in 2000 to $234,000 in 2016, and the neighborhood changed from close to 80 percent black to 46 percent black. In the Graduate Hospital area, the median home prices are now among the city’s highest — $500,000, up from $300,000 just eight years ago." This is pretty rich coming from Johnson, who, as the District Council person, wields literally all of the zoning and housing powers in these neighborhoods. 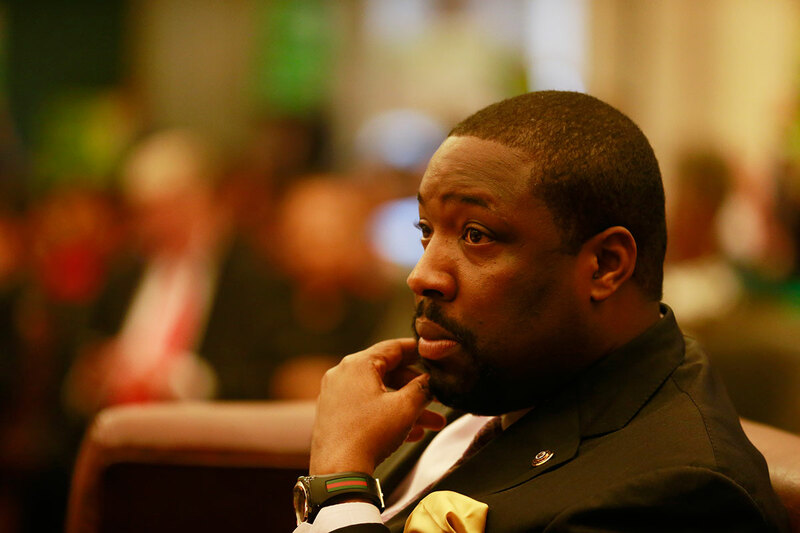 Because of Councilmanic Prerogative, District members are more or less playing Sim City when it comes to land use, which is easily the most powerful tool anybody has to impact these trends—a tool that's been in Johnson's hands this whole time. The housing statistics cited in the Inquirer reflect a bad political record on housing, but this is Johnson's bad record, not Vidas's. During the span they're concerned with, Johnson has been the District Council person for all but two of them. And during that time, he's passed up many important opportunities to get ahead of the housing affordability problem with a go-slow, project-by-project approach that's failed to have the effect Johnson said it would. Look no further than the massive housing cost increases he's presided over to judge the results of his housing strategy. What could a 2nd District Council person have done differently all these years? The biggest item is zoning remapping, which Johnson has so far refused to do, until very recently when he introduced a misguided bill that would actually reduce opportunities for inclusionary zoning and below-market rate housing in Point Breeze, Grays Ferry, and West Passyunk. It also fails to rezone large and greatly under-utilized streets in the 2nd District like Washington Avenue and South Broad Street that are best suited to meeting the demand for lots of additional housing due to their width, and in the case of South Broad, the heavy rail transit infrastructure running underneath. These streets together could easily support housing for thousands of additional households with appropriate rezoning, but because Johnson refuses to plan proactively for this, all of the housing demand is getting pushed into rowhouse blocks in Point Breeze, needlessly intensifying gentrification pressure there. For instance, under City Council's new Mixed-Income Housing program, only the highlighted parcels on the map below are eligible to make use of City Council's new inclusionary zoning incentives, and the non-highlighted parcels aren't. Not only is Point Breeze overwhelmingly exempt from the inclusionary zoning program, but Johnson's lone rezoning bill would make things even worse. Councilmember Johnson got a lot of negative headlines recently about how he's used Councilmanic Privilege to steer city-owned land in the District to his campaign donors and friends, rather than having any kind of larger plan to make use of the large number of city-owned lots in his district for housing. And even on an issue where Johnson did take a leadership role on housing in City Council, on the LOOP and Homestead Exemption property tax relief programs for lower-income homeowners, he's done essentially nothing that would benefit cost-burdened renters during his time in office, and there's little evidence he's put any real thought into the issue. In the recent push for more affordable housing funding, Johnson's main priority was to push for downpayment assistance to help some renters become homeowners—a worthy idea in its own right, but in terms of priorities, still emblematic of the backward way most Council incumbents tend to think about renting. Not every renter is an aspiring homeowner, and renters need public policy changes from City Council that recognize them on their own terms and try to make life better for them as such, with more abundant rental housing of all kinds, rezoning to make more land eligible for the Mixed Income Housing program, passing the Transit-Oriented Development overlays for all district subway station areas, guaranteeing the right to civil counsel, and more. There's shockingly little interest in this on City Council, and particularly from Johnson, and it's an important reason why his housing affordability record has been such a failure. Gentrification is the opposite of decline. Without the investment to gentrify, eventually the older housing stock would likely not appreciate in value to the point where it would not be economically feasible to update and possibly lead to abandoned properties. Sale prices of new or renovated dwellings should not have a major impact on dwellings with deferred maintenance and in need of updating. Condition should be addressed with the OPA with FLR’s or assessment appeals. Gentrification would have the effect of raising all values somewhat and that could benefit owners desiring to sell. For others desiring to stay, the OPA and City Council should be more vigilant in extending and promoting RE tax relief for longtime owners in gentrifying areas. Len Bullard needs to chill on the casual racism. No one want’s to force out the existing community; economic development creates an opportunity for everyone when RCO’s promote smart development strategies. - For affordable housing, upzoning is necessary. - Regulatory taxes must be kept low. - Low-density zoning is a tool of economic and racial segregation. Kenyatta Johnson, out of ignorance, not malice, is throwing the district under the bus by promising to resist upzoning and development in PB. Simply put, denying development in PB is a surefire way to keep schools underfunded, to ensure home prices rise even faster, and to effectively keep PB racially segregated. That’s an unacceptable outcome – VOTE VIDAS. Sounds like 3.0 is the head cheerleader for Vida. SOSA, powerless? NOT! As the RCO for the area, they have rubberstamped, every development project in the area. Although they hold community meetings, SONA’S zoning committee does not allow the community to vote yea,or nay, on projects. Instead the committee holds closed vote meetings itself upon which they decide the outcomes thereby neutering the community, community power and influence. You have a bunch of whites whose intent and agenda has been to white out the black presence in the area. The article is written as if Johnson has the final say on projects which is not true. Tha ZBA and Planning Commission along with RCO are the primary deciders. And almost always go against community wishes. Everyone likes to point fingers at Johnson for councilmatic, privilege use. Well it was in use long before he became a councilman. If you want to take a look at him you’d better take a look at others, past and present before demonizing him. But hey,we all know that when a black person makes use of policy and procedures whites have long employed and abused, a double standard is applied.